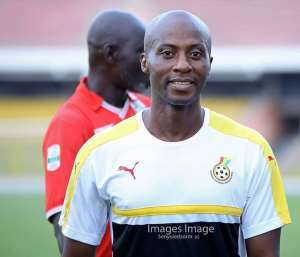 Head Coach for the Black Meteors of Ghana, Ibrahim Tanko has indicated that he is expecting a tough challenge from Algeria in their final qualifying match ahead of the u-23 Africa Cup of Nations (AFCON) in Egypt this September. After outing Togo and Gabon by huge goal margins over two legs in their last qualifying matches, Ghana is now just a step away from making it to this year’s u-23 AFCON which will potentially help them book a spot in the Tokyo 2020 Olympic Games. They however have to brush aside the only obstacle in their way which is Algeria. The two African giants will go head to head next month to fight for a place in this year’s continent showdown. Speaking in a post-match yesterday following the second leg match against Gabon, Ibrahim Tanko disclosed that all the games are difficult but he believes his side have the ability and quality to go past their next opponents. “All the games are difficult games. There is no easy game now and we are playing against a team that we don’t know but am sure we will find their video so that we will study them very well. Both teams want to qualify but I believe in my boys that they will be able to get the job done”, he shared. He further hinted that some different players could be called up to beef the squad in the coming days as they prepare for the all-important matchup with the North African side. “Every good player who falls into this age category if he is playing well then definitely we are going to give him a call. That is why it is a National team and we need the current players who are in current form and that will help us. So definitely it should not be surprising if you see one or two new players in the squad” Ibrahim Tanko stated.